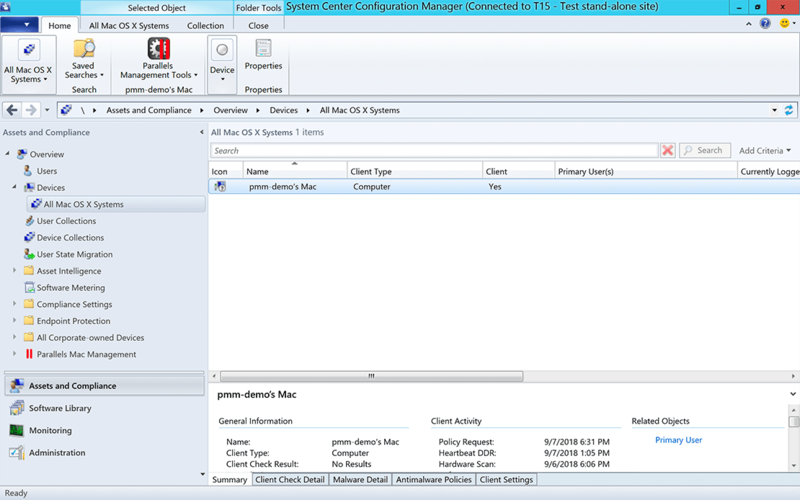 Standard SCCM Active Directory System Discovery can discover Mac? resources, or Parallels Network Discovery can automatically push the install of Parallels Mac Client. Test your infrastructure to ensure Parallels Mac Management components are ready to install. The Mac-specific GUI elements are integrated into the Configuration Manager console, allowing you to accomplish Mac management tasks. 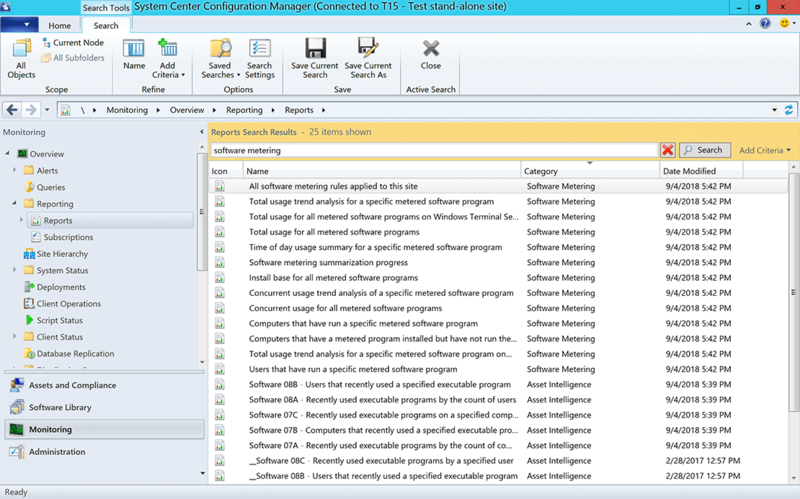 Hardware and software inventory information is collected from enrolled Mac computers and saved in the Configuration Manager database. Manage resources by combining them into logical groups based on certain criteria, including the macOS? collection and the unknown collection used for macOS deployment. 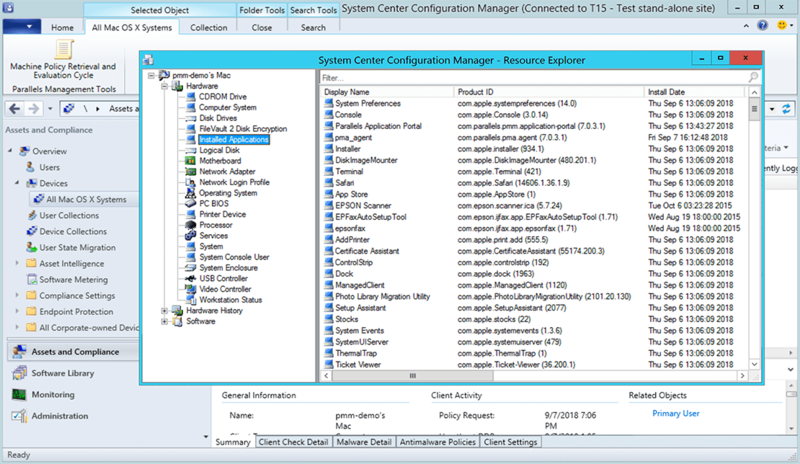 Mac user logon details are reported by the Parallels Mac Client to SCCM and are saved in hardware inventory. 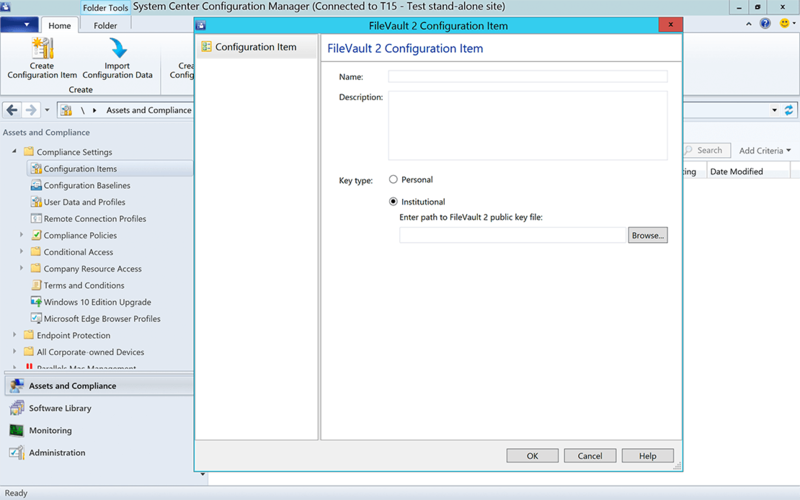 The logon information is reported using the standard nodes in the hardware inventory tree. 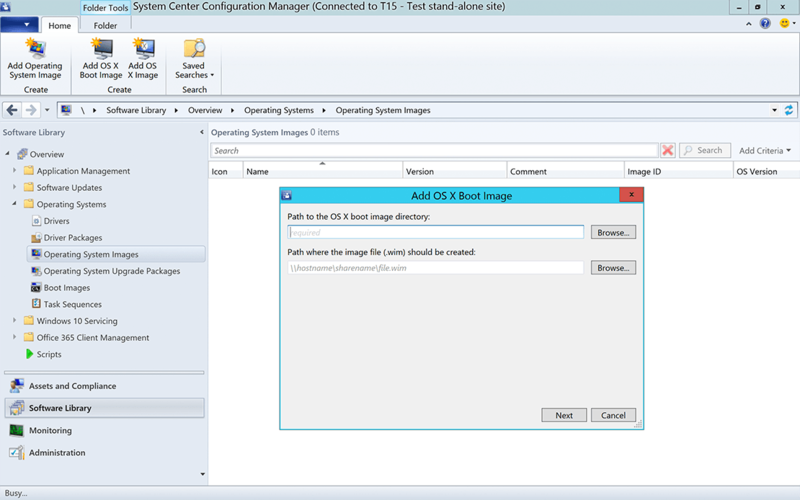 Deploy in three steps: macOS image capture, image delivery to an SCCM distribution point, and task sequencing to Mac computers. 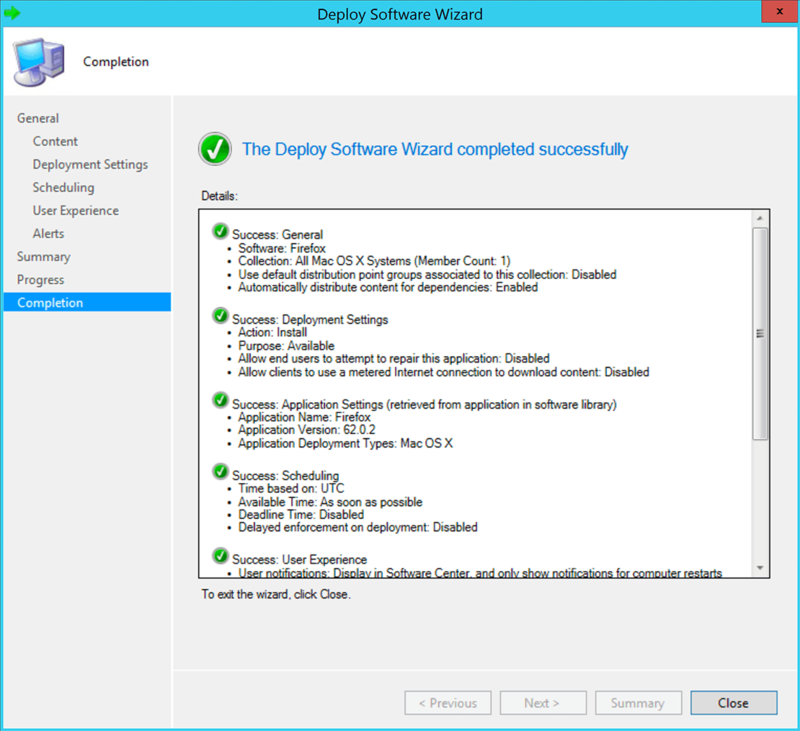 Natively support the Application Management feature of SCCM and deploy applications directly to Mac computers. Assess the compliance of Mac computers in your organization with regard to whether macOS is configured the way you prefer. Institutional Key Type — An institutional recovery key is created in advance by the system administrator and then used for all Mac computers being encrypted. If a Mac user forgets his or her personal password for unlocking the disk, this recovery key can be used to unlock it. Personal Key Type — A personal recovery key is created automatically for each individual Mac during the encryption procedure and is saved in the database on the primary SCCM site. If a Mac user forgets the password for unlocking the disk, the personal recovery key for the disk can be retrieved from the database and used to unlock the disk. 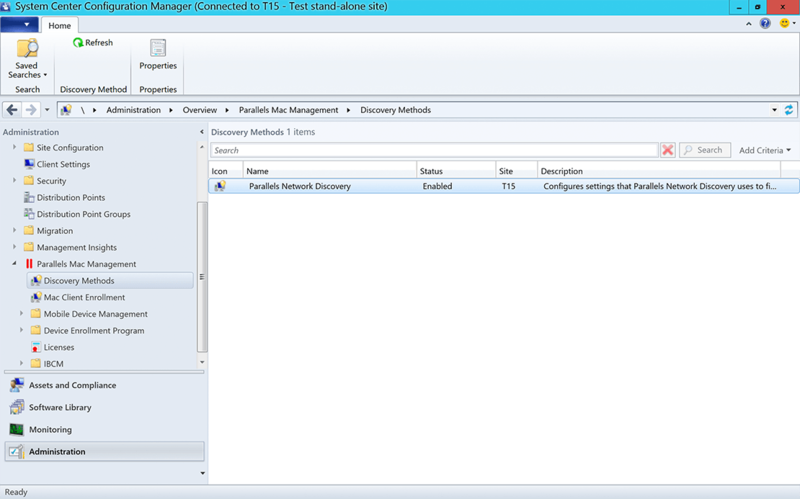 A transparent proxy that passes requests between Parallels Mac Client and Parallels Configuration Manager Proxy. Technically a plugin to IIS, it is also used by SCCM for communications between computers on the Internet and management/distribution points. 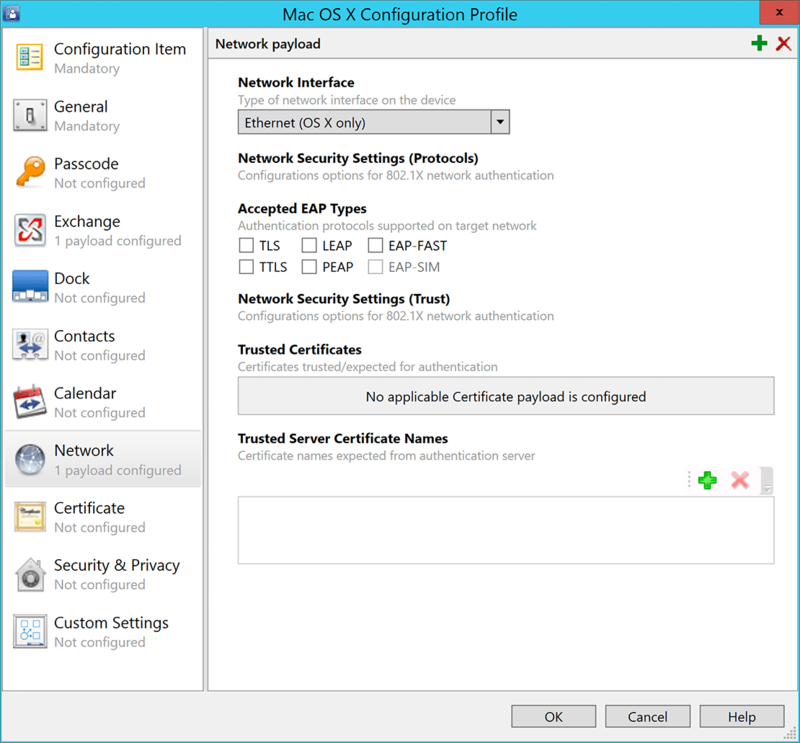 Establish a permanent SSL-secured link with Parallels IBCM Proxy. Trust is established using the certificate pinning mechanism. 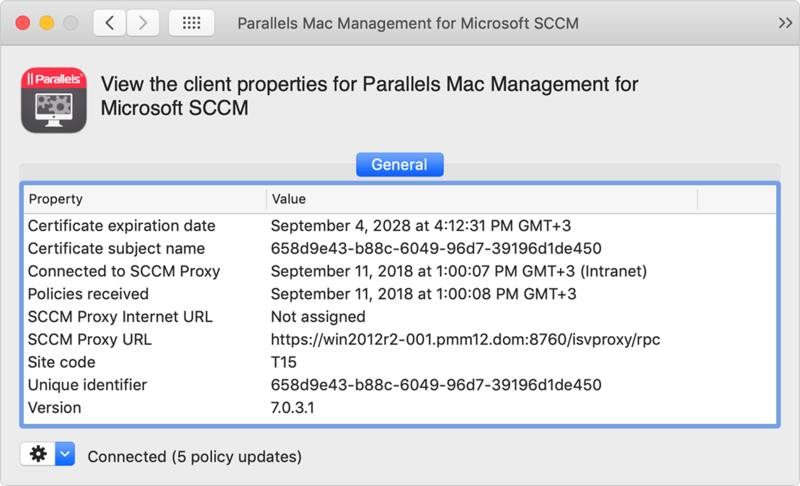 Each Mac enrolled into SCCM automatically obtains the public URL of the Parallels IBCM proxy. 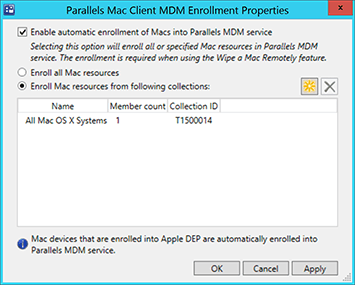 When the Parallels Mac Client needs to communicate with SCCM, it first connects to the Parallels IBCM proxy and obtains the necessary links to MPs/DPs, accessible from the Internet. 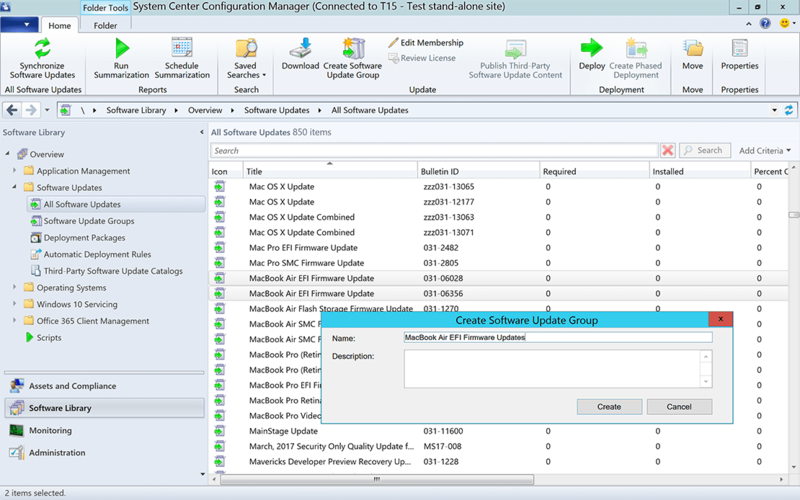 A new, flexible way to use task sequences, known as non-OSD task sequences. Image Mac computers without the mandatory macOS image deployment step. 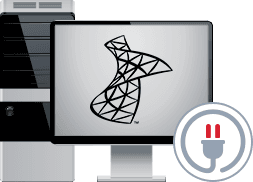 Simplify macOS imaging in complex network configurations by using a USB flash drive or external HDD to eliminate the need to boot into the Task Sequence Wizard from the network. No need to mess with IP-helpers. 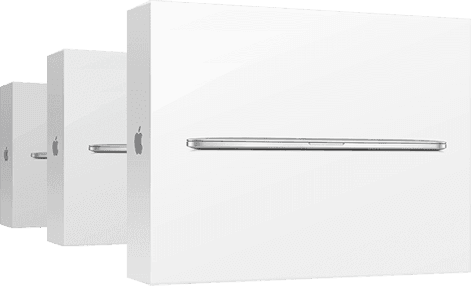 IT administrators can now initiate collection of Mac hardware inventory without waiting for a scheduled inventory collection cycle.